Real Me 2 has fingerprint Scanner at the back of this Smartphone. This is a very good improvement in Real Me 2 which people were really wanted. As you know that the previous version of Real Me 1 hasn’t any fingerprint scanner. Most of the buyers want a Smartphone with fingerprint technology. Because, today, everybody wants to unlock his mobile by the fingerprint scanner. Fingerprint scanner gives a security for your Smartphone. Because data protection is very important for a user. Real Me 2 has the dual camera. This is also a good improvement in Real Me 2 As you know that, Real Me 1 hasn’t dual cameras. Oppo fulfills this requirement. Most people want dual rear cameras on their Smartphone. As everybody knows that Indians wants good pictures. So now you can take pictures with good image quality. Dual Cameras also give an attractive look to your Smartphone. It looks stylish. Real Me 1 has the single rear camera. It was a vulnerability of that Smartphone. But now Real Me 2 gives awesome pictures with blur effect. Real Me 2 has 13+2MP cameras in the rear of this Smartphone. Now you can capture beautiful photos by Real Me 2. 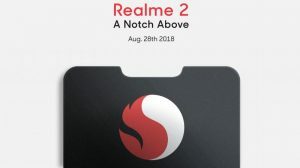 Real Me 2 is coming with a design of notch. This is a very interesting and surprising improvement in Real Me 2. Notch design is a trend at today. Today almost all the mid-range and flagship grade Smartphones come with a notch design. 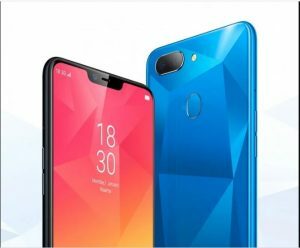 And now you can enjoy notch design in the budget section of mobiles. 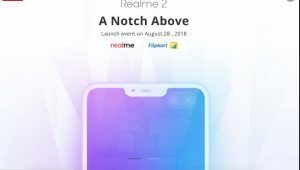 Real Me 2 is a budget segment Smartphone. A common man can easily afford enough money for Real Me 2. And they can enjoy notch design with Real Me 2. Real Me 2 has 4230mah battery. Battery life is a major part for a Smartphone. Real Me 2 has an improvement in battery capacity. This is also a good improvement in Real Me 2. If you were disappointed with the battery life of your Smartphone. So now you can see Real Me 2. It may a good option for you. It has very good battery life. Because it has 4230mah battery. This battery is enough to give backup of one or two days. Real Me 1 hasn’t very good battery life. So if you want to buy a Smartphone of Oppo company then you can see at Real Me 2. As you read above that what improvements in Real Me 2. Here I will give you some specifications, price, colors etc. of Real Me 2. If you want to know more about this Smartphone then you should read this article till the end. First of all, I will tell you about the design of Real Me 2. It comes with a notch at the front of the Smartphone. It makes the very interesting design. At the back of this Smartphone, it has dual rear cameras first primary is of 13 Megapixel and secondary camera is of 2 Megapixel. At the near of cameras, a dual tone LED flash is situated. Real Me 2 comes with an interesting design of diamond glass look. Real Me 2 comes with a powerful chipset of Qualcomm Snapdragon. It has a Qualcomm Snapdragon 450 Octa Core processor. As above you will read that it has the dual rear cameras primary camera is 13 megapixels and the secondary camera is 2 Megapixels. Real Me 2 comes in three variants. First is 3 GB RAM and 32 GB internal storage. Second is 4GB of RAM and 64GB internal storage. You can also expand your storage by a memory card. Because you can use to micro SIM and one SD card at the same time. The price of Real Me 2 starts from 8999/- only. The Smartphone of 3GB and 32GB comes at the price of 8990/- and the 4GB and 64GB come at the price of 10990/- only. You can buy this Smartphone from Flipkart. I hope you got all information about Real Me 2 and the improvements in Real Me 2. 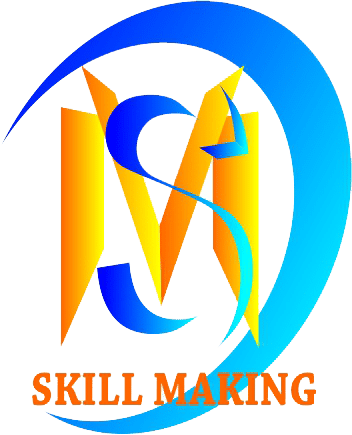 In this article, you also got the specifications details of Real Me 2. If you love this article then you should write the comment down below at comment section. If you have any question regarding this article then you should also write your question in the comment section. I will try to give the answer to them. This entry was posted in blog and tagged improvements in real me 2, oppo real me 2, oppo real me 2 specifications, real me 2, real me 2 design, real me 2 price, real me 2 specifications. Bookmark the permalink.